After an 11-year break, we have a new entry to the NBA’s 70-point club: Devin Booker, also the youngest player in it. He provided the 11th 70-point game in the history of the league, joining five other players who have reached that milestone: Wilt Chamberlain, Kobe Bryant, David Robinson, Elgin Baylor and David Thompson. Chamberlain is the only player on the list with more than one such game. The records refer to regular season games. 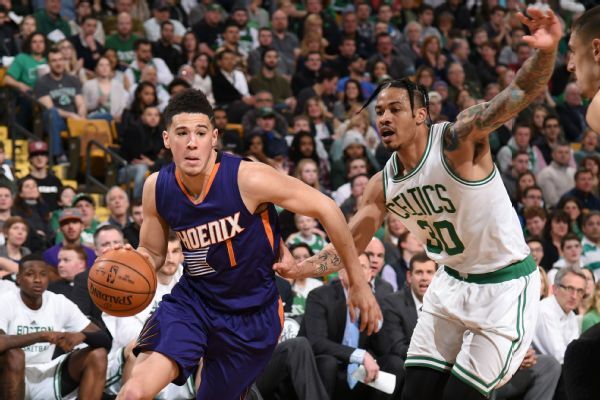 Booker, who is 7 months before his 21st birthday, became the youngest player to join the 70-point club in a losing effort against the Boston Celtics, with 51 of his points coming in the second half. The Phoenix Suns star shot 21-of-40 from the field and 24-of-26 from the line. 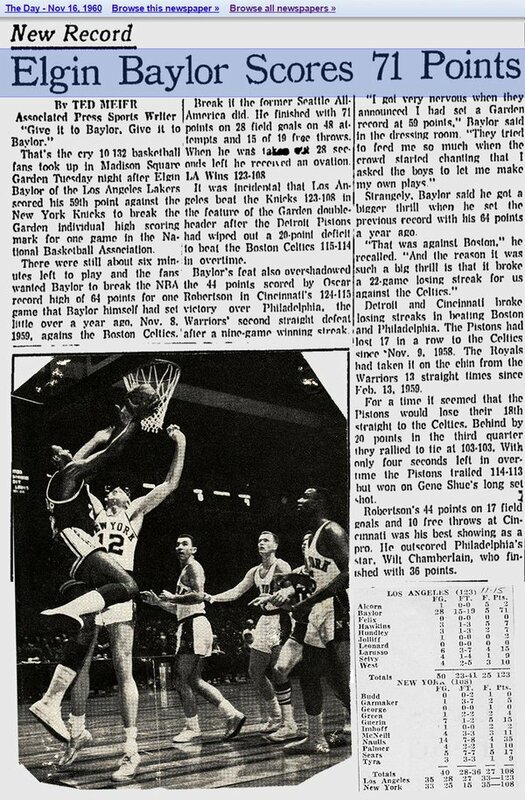 The first of Chamberlain’s entries on this list, this effort came on March 10, 1963, in a losing effort for the San Francisco Warriors against the Syracuse Nationals. Chamberlain was 27-for-38 from the field and 16-of-22 from the line in the days before anyone shot 3-pointers in the league. On November 15, 1960, Baylor became the first NBA player to put up a 70-point game. The Los Angeles Lakers star scored 71 of his team’s 123 points in a 15-point win over the New York Knicks. Baylor was 28-of-48 from the field and 15-of-18 from the line. At the end of the 1993-1994 season, Robinson went head to head with Shaquille O’Neal for the league’s scoring title. 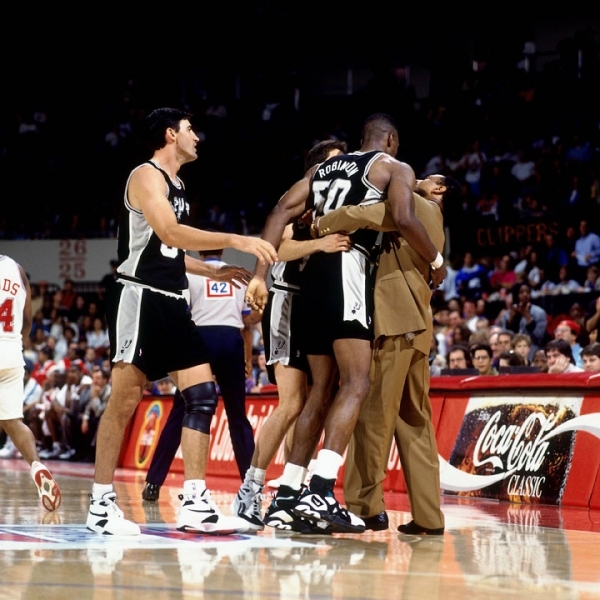 On April 24, 1994, Robinson did enough, getting plenty of help from his teammates and perhaps a willing opponent (Clippers, which the Spurs beat 112-97), with 26-of-41 from the field and 18-of-25 from the line, including one 3-pointer, to capture the scoring title, the first in the short Michael Jordan retirement era. Once again it’s Wilt, and once again during his San Francisco Warriors days, this game occurring on November 3, 1962. Chamberlain and the Warriors lost 127-115 to the Los Angeles Lakers that day, while Wilt finished with 29-of-48 from the field, adding 14 points from the line on 18 attempts. Chamberlain’s 73 point games came in the same year (1962) but not in the same season. The first – while the Warriors were still in Philadelphia, in a win over the Chicago Packers, in January of that year. 10 months later in a new season, with the Warriors already in San Francisco, Chamberlain dropped the hammer on the New York Knicks. Both games were wins for his team. At the end of the 1977-1978 season, Thompson went head-to-head with George Gervin for the scoring title. Thompson and the Denver Nuggets lost 139-137 to the Detroit Pistons on that day, and Thompson didn’t score enough to win the scoring title as well. He started strong with 53 points, but had a “weak” second half, while shooting 28-of-38 from the field. Wilt again. You missed, him, right? 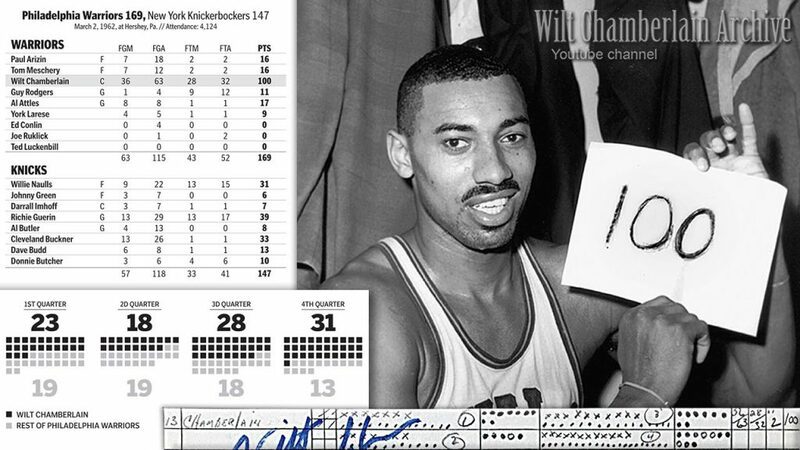 Wilt reached 78 points on December 8, 1961, in a 151-147 loss to the Los Angeles Lakers. He played 63 minutes, shot 31-of-62 from the field and was 16-of-31 from the free throw line in yet another historic losing effort. 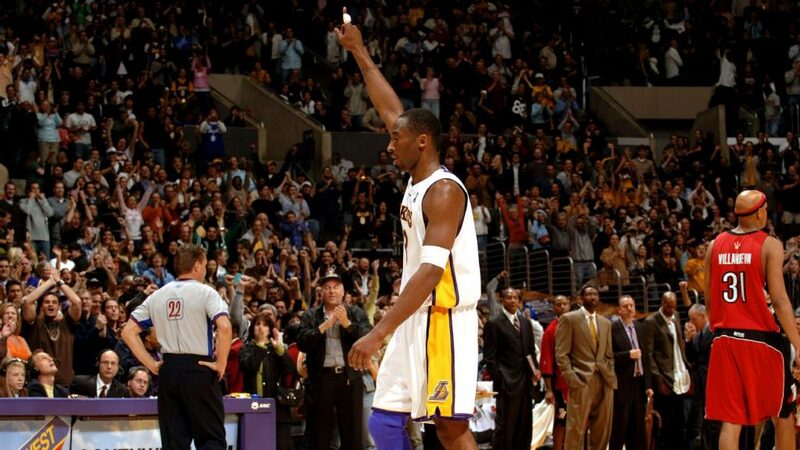 On January 22, 2006, Bryant, playing for what was then a pretty bad Lakers team (it would get worse years later) went on a special scoring spree in front of his home fans, beating the Toronto Raptors 122-104 with 55 points in the second half, 28-of-46 from the field, 7 three-pointers and 18-of-20 from the line in just under 42 minutes. The most famous individual effort in NBA history, seen by very few people, but obviously many more claim that they were there on that day in March 2, 1962. Chamberlain and the Philadelphia Warriors played the New York Knicks, beating them 169-147. Chamberlain made 36-of-63 shots in 48 minutes while making 28-of-32 from the line. He averaged 50.4 points per game that season (1961-1962) on 48.5 minutes per game, both NBA records.